Our top priority is keeping you safe. STHS has been recognised as an industry leader in safety. The safety of our guests, guides and pilots is the most important aspect of our operation. We are committed to training and educating our guests to provide a thorough understanding of the mountain environment they will be exposed to. All guests are required to attend a safety briefing and orientation prior to skiing or snowboarding. An experienced staff member will brief the group on the skiing agenda, guide expectations, and answer any questions or concerns that the group may have. Each guest will be equipped with a Barryvox Pulse avalanche transceiver which they will be trained to use in addition to other safety equipment. Guests also have the option to rent the Snow Pulse Airbag Backpack. Your guide will provide an overview on skiing in powder, brief you on the natural hazards associated with the backcountry (i.e. trees, cliffs, crevasses), and how to manage yourself safely in this environment. While you are out skiing, each member of your group will carry a pack including avalanche shovel and probe, and each skiing/boarding pair will have a radio. Your guide, and helicopter will carry additional safety and rescue equipment. Our guides are trained to assess and manage avalanche hazard. They monitor and test snowpack stability on a regular basis. They also use a variety of snow science and weather observation tools to gather data and formulate daily operation plans. Each morning our guides and pilots attend a comprehensive meeting to select the appropriate terrain for each group based on the current weather and mountain conditions. Our guides and pilots are certified to the highest levels in their professions. They maintain constant radio contact with each other in the field, as well as with our base station through a radio repeater system. Always listen to the guide’s instructions. Don’t hesitate to ask for clarification if uncertain. We are in a remote mountain environment – look out for one another and act as a team. Choose your own fresh ski/board line, but always add your tracks on to the left/right of the guide’s ski track (guide will confirm this instruction before each run). Always be aware of where you are in relation to your guides track, especially in the trees. Give a minimum of 10 turns head start to the guide or other skiers ahead of you. Never ski below your guide. Ski with a partner in the trees –your mutual safety depends on it. Tree wells are a serious hazard in the Selkirk and Monashee Mountains. Do not use pole straps around wrist or hands – this is dangerous because poles can get snagged within the trees or become anchors if you are caught in an avalanche. If you get lost from the rest of the group stay put and your guide will find you. If you keep skiing the situation may become worse. No music devices – they interfere with communications with the guides and fellow skiers. No cellphones – they interfere with the performance of your avalanche transceiver. No drugs or alcohol during your ski day – strictly enforced. Please also try to limit consumption the evening before as well! Ski into re-grouping areas slowly and under control. Take turns skiing behind your guide, in the middle of the group, and at the back. Leave a minimum of 10 turns between skiers to avoid collisions. Always ski in control. Most accidents are caused by skier collisions, or by hitting natural hazards. Help fallen skiers with lost skis or equipment. If a boarder is stuck on the flats, skiers can lend a pole or assist them with a push or helping hand. We also encourage snowboarders to ride with poles to assist them in the flats. When flat areas are encountered, snowboarders have more success traversing at the back of the group where they can ride in ski tracks made by those in front. 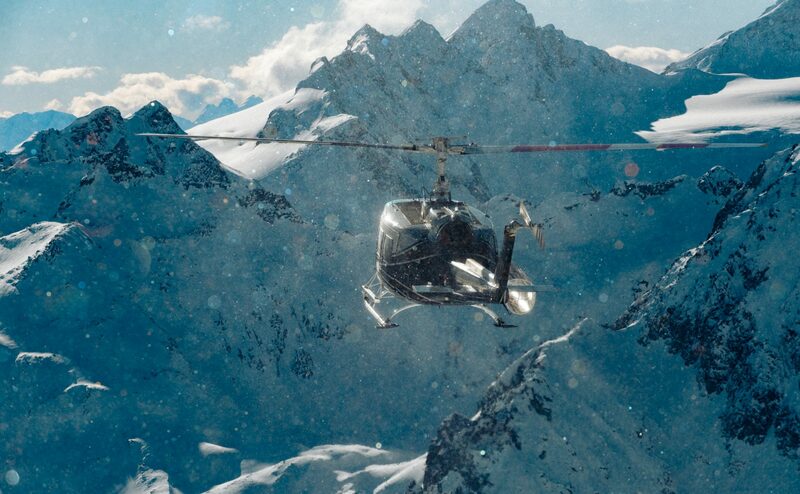 No loose items can be left in the helicopter so you need to ski with whatever you bring. After you are finished your ski trip with us please return your skis/board and transceivers to the ski shop. 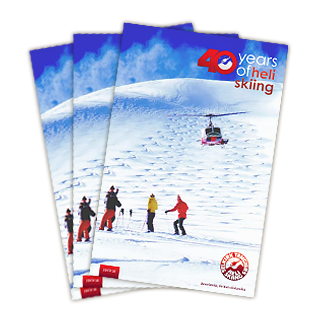 Please Note: Our STHS ski guides reserve the right to remove any skier/snowboarder from a heli ski group if the above Etiquette & Safety guidelines are not being complied with. Electronic devices, metallic objects, as well as wireless signals have been found to adversely affect avalanche transceiver performance in both transmit and receive modes. Audio listening devices such as ear buds or built-in helmet speakers attached to any portable listening device. Electronic devices with wireless capability e.g. GoPro Hero3+ and Smith IO Recon Goggles with wireless remote control. *Note: goggles and cameras can be used but remote controls for these devices are not permitted in the skiing environment. Wrist watches with GPS capability and/or Bluetooth capability. Any chest-mounted electronic device e.g. chest-mounted GoPro. Clothing with large magnetic buttons and/or large metallic belt buckles and adornments near the chest/waist. Any electrically heated clothing systems. Portable radios such as the ones issued by Selkirk Tangiers. Personal still picture and motion picture cameras. Any metal object including foil wrappers on candy bars and cigarette packages. Mustang Helicopters of Red Deer, Alberta, is our preferred carrier with Bell 205, Bell 407, and Eurocopter A-Star helicopters. These helicopters are inspected and serviced by qualified Mustang Helicopter engineers at our Revelstoke base. All pilots have extensive mountain flying experience and prior to each ski season they attend an annual certification for helicopter skiing. Before loading the helicopter for the first flight, the pilot will give a detailed outline of procedures and protocol that guests are required to follow when in and around the aircraft.